The Legend is my take on the Skip Fry Glider. Its a shape made for effortless glide but with a more user friendly rocker. 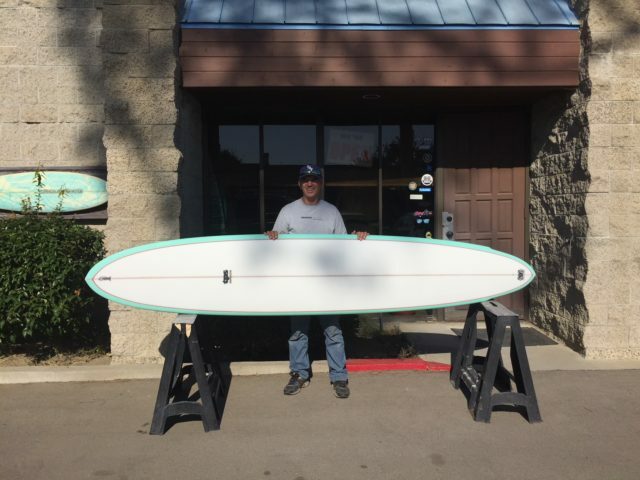 Using eps/epoxy construction, the board feels light under-foot and under the arm. It works particularly well in fat, slopey waves, where its length and volume make catching waves a breeze.